The 2018 Ford Mustang GT earned a spot on Wards Auto’s 10 Best UX list, which ranks the vehicles with the best user experiences in the industry. Factors in determining the 10 Best include the interaction between human and machine, the availability of driver-assist features, and user friendliness. 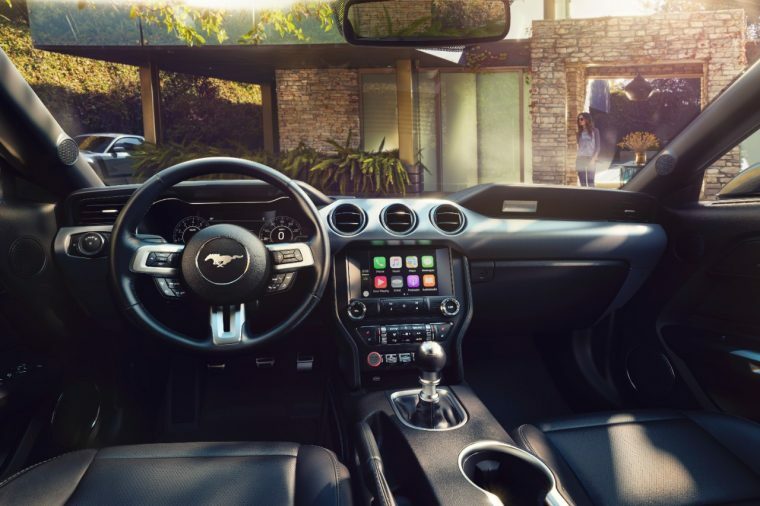 Wards called the Ford Mustang GT “a veritable video game on wheels” for its configurable 12-inch LCD display; MyMode memory technology; SYNC connectivity system with Apple CarPlay and Android Auto compatibility; and its available Active Valve Performance Exhaust, which features four distinct driving modes: Normal, Sport, Track, and Quiet. Quiet Start mode in particular earned praise from judges, providing the ability to tone down the 5.0-liter V8’s meaty engine note for early-morning starts that won’t infuriate the neighbors. It also earned bonus points for its charming puddle lamps, which project the Mustang’s pony emblem at your feet before you enter the vehicle.